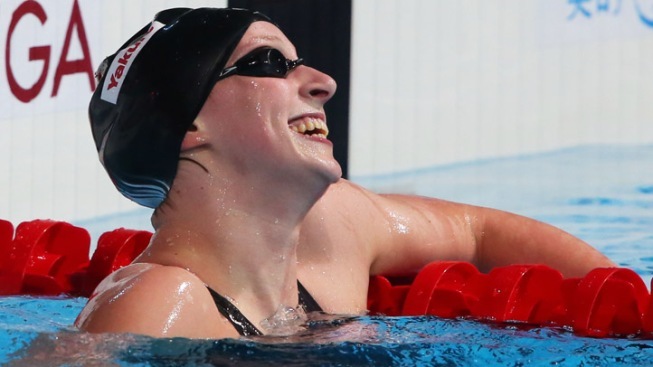 Katie Ledecky continues to bring home the gold. The Bethesda native set a new world record in Barcelona on Saturday in the women's 800 meter freestyle, shaving almost a quarter of a second off the old mark. That milestone wrapped up a perfect week for the 16-year-old at the world championships. She will bring home four gold medals - one for each of the four events in which she competed. Last summer, Ledecky became the youngest woman ever to win Olympic gold in the women's 800m freestyle final. Her final time was the second-fastest ever in history.